If you like strong coffee and dark chocolates, you will love this. Lightly crushed Market Lane ‘Juan Ticona’ espresso beans is scattered onto organic African dark chocolate for something very special. If you are reading this, there’s a reasonable chance you’re Singaporean. And therefore there’s a reasonable chance you like coffee. And clearly you’re “interested” in chocolates. If all the above applies, then this bar of artisan chocolate will be simple happiness. 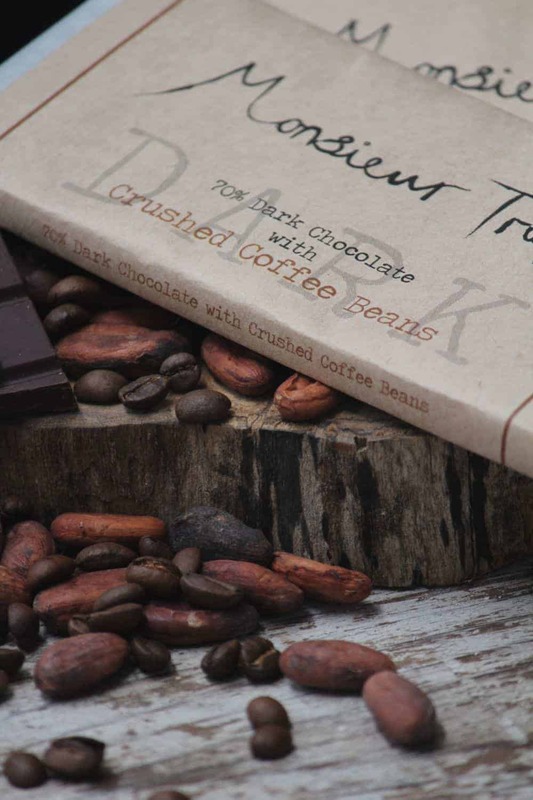 The texture switches between melting 70% dark traditional cocoa, and crunch of lightly crushed arabica coffee beans. We don’t know what else to say. You will at the VERY LEAST, like this. Buy this because you like coffee and chocolate. If you do, trust us, you will like (if not love) this.